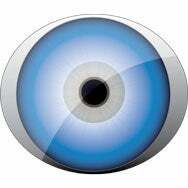 Do you wish your iSight were more like the unblinking, ever-vigilant Eye of Sauron? Then you might be interested in Ben Software’s new RemoteSight, an application that turns an iSight camera into a CCTV-style security camera, accessible over a network via Web browser. RemoteSight can act as an integrated camera source for Ben Software’s SecuritySpy, which aggregates video feeds from multiple cameras into a heads-up multi-video display. RemoteSight captures both audio and video from the host Mac’s iSight camera (or any attached video input device), and streams it out through an integrated Web server; video is accompanied by a live timestamp. The Web server also provides an option to remotely view what is happening on the Mac’s monitor as well. Any Web browser has the ability to connect to the Web server across an internal network, and Internet remote viewing should be possible if the nonstandard additional ports used by the Web server are opened on the router to allow this traffic. Administrative users can turn off monitoring feeds individually, and you can protect all connections to the Web server by username and password registration. RemoteSight runs as a faceless application, with no indication in the Dock that it is operating; however, a menu-bar item appears that cannot be easily removed, and (where available) the iSight LED light is turned on to indicate that the camera is in use. RemoteSight costs $27, and a fully functional demo is available as well, so you can give it a try. System requirements call for OS X 10.4.11 or later, 512GB of RAM (I’ll assume that’s a typo and you only need 512MB), and a video input device, such as a built-in iSight camera or external FireWire or USB camera.